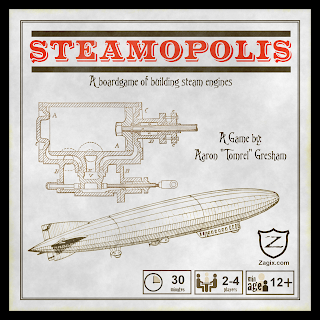 Steamopolis is a Worker Placement/Set collection game. 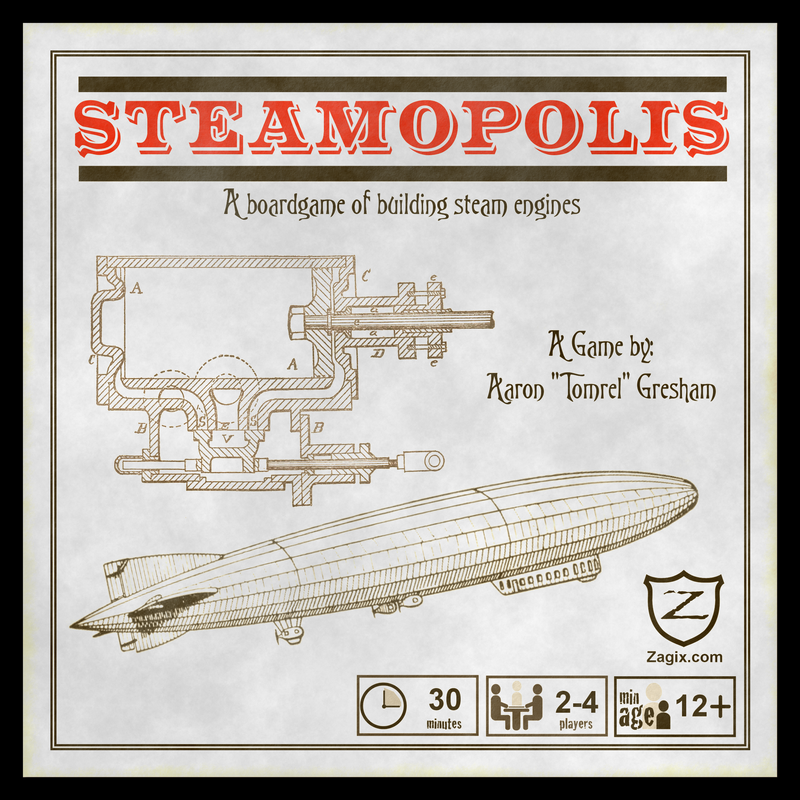 Where you have to build steam engines before any of the resource piles run out of resources. 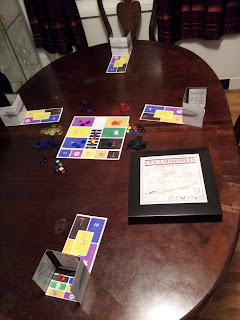 The beginning of the round everyone places their workers secretly on locations on their player sheet then they reveal. there is an NPC character known as the black market. that rolls to determine where they go. the neat thing about the black market is the players can buy from them as well granted the black market has the supplies. 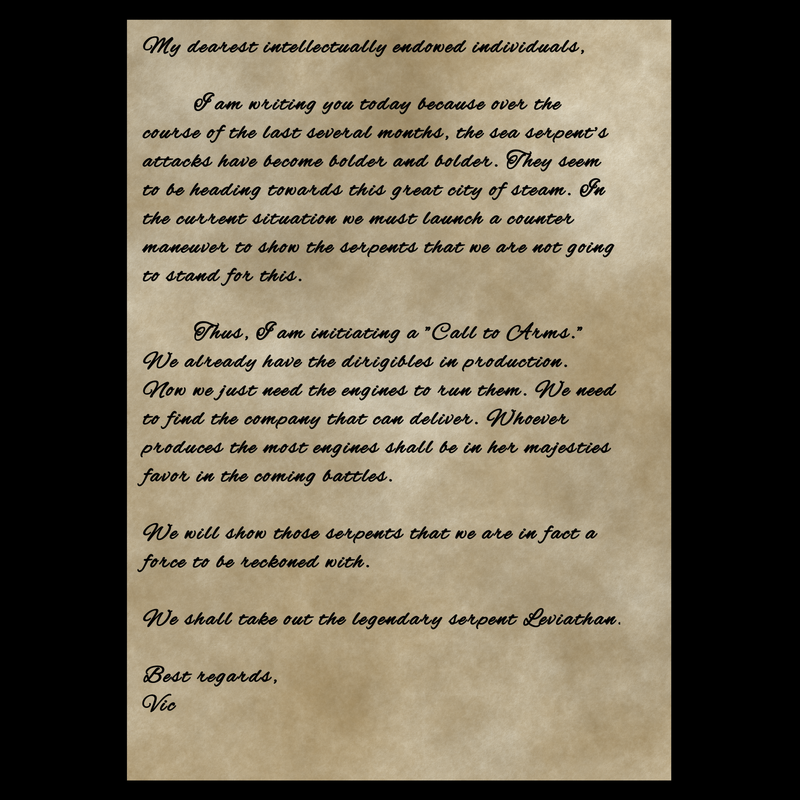 Here's a letter that has some backstory. This time our team consisted of 3 programmers and 2 Artists. Their credits are listed below. 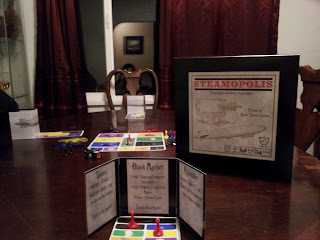 Yesterday I got Steamopolis in the mail. Overall it looks good, there is some minor things that I need to do to it before it gets released. 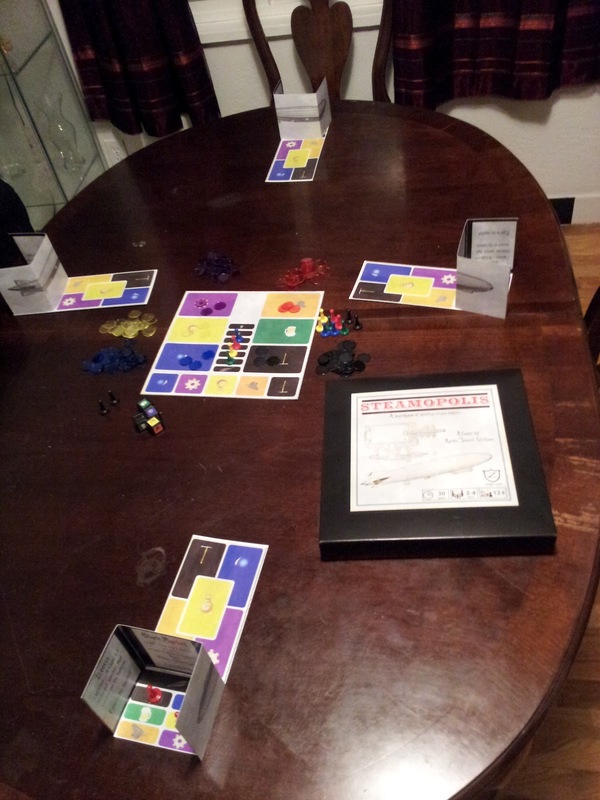 This First image is the game set up for a 4 player game. The next image is the game from the eyes of a single player's point of view. Hopefully in the next week or so I can get a how to play video up on youtube. 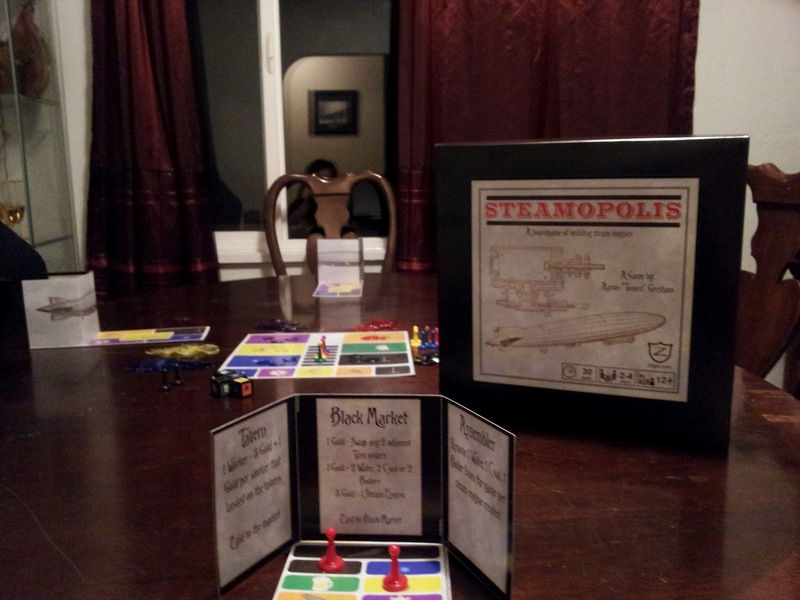 Just got done with box art for new board game. Really excited about it, and am way ahead of schedule to order my copy by friday. 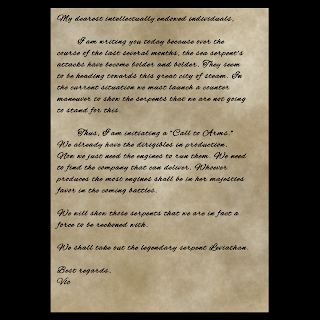 This game will be released at the end of the month or begining of next.